The Vancouver Condo Buzz » “This Is It Sale” – Coquitlam Grand Central 1 Presents BEST Condo Value of 2010! Also, Register for VIP Previews of Presale Coquitlam Grand Central Phase 2 Condo Tower Today! “This Is It Sale” – Coquitlam Grand Central 1 Presents BEST Condo Value of 2010! 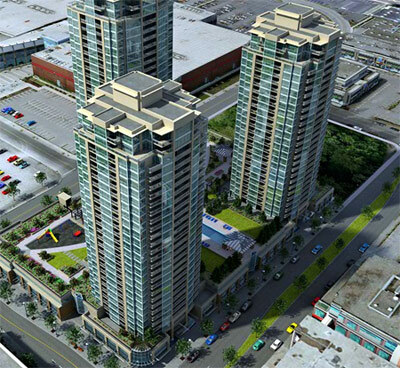 Also, Register for VIP Previews of Presale Coquitlam Grand Central Phase 2 Condo Tower Today! Grand Central Coquitlam Condominiums – New Release of Homes in Phase 2! Conveniently located at 2978 Glen Drive, Coquitlam real estate market place (in the new Town Centre community), the second of Grand Central Coquitlam condo development is releasing the new homes for sale. This is the 2nd phase of the three high-rise Coquitlam condo tower development that is now accepting priority registration. Offering a variety of one and two bedroom floorplans, the pre-construction Coquitlam Grand Central condos for sale will have exclusive amenity spaces in each tower that will have a fitness facility, theatre screening room and multi-function clubhouse. The entire Coquitlam real estate development at Grand Central condo high-rise towers will also have an outdoor swimming pool, hot tub, children’s play area and garden plots for homeowners to grow their own flowers and herbs. In addition, the pre-construction Coquitlam Grand Central condos for sale are conveniently located within walking distance to shopping, restaurants, parks and the West Coast Express that will take you to downtown Vancouver in less than 20 minutes. For more information about Phase 2 of Grand Central Coquitlam condos for sale, please visit grandcentralnow.com. Appropriately named, Grand Central Coquitlam Condos is ideally located within the heart of this booming city, just steps away from all the local conveniences that you desire as a homebuyer. These refined luxury condminiums located in Coquitlam real estate market is launching Phase 2 tower residences and caters to not only first time homebuyers, but also real estate investors, families, couples and downsizers looking for the lock and go lifestyle. The contemporary architecture and finishes are attractive, and the timeless beauty of the new Coquitlam Grand Central condos for sale make it a great long term investment. Some of the amenities close by include the T&T Supermarket, Coquitlam Town Centre shopping and tonnes of recreational facilities. In addition, the planned SkyTrain Evergreen Line will be just next door to the presale Coquitlam Grand Central condos for sale. Also close by includes Douglas College and the Coquitlam Aquatic Complex. New pricing for remaining suites at Phase 1 of Grand Central Coquitlam condos for sale has been released, and homebuyers can now save more than eighty thousand dollars at pre-construction prices. Please see below for more details about this incredible offer for Phase 1 suites. GRAND CENTRAL 2 – CONSTRUCTION HAS BEGUN! HST is now included on select suites here at this best selling Coquitlam condo development by Intergulf. Only 5% initial deposit is required to get you started so that you can own from as little as $12,450 for a limited time offer! BUY SMARTER at Grand Central 2 Coquitlam condos. 5 easy steps to your first Coquitlam condo home: 1. Come see Grand Central Coquitlam real estate community and fall in love with one of the homes; 2. Own with a low 5% initial deposit when you write your contract; 3. Pay your mortgage – not your landlord; 4. Pay a second 5% deposit in January 2011; 5. Pay nothing more until you move into the new Coquitlam Grand Central 2 condo tower expected to be complete around summer 2012. The presales Coquitlam condos at Grand Central 2 include one beds from $249,000 and two bedroom floorplans from $339,000. Visit 2929 Atlantic Avenue, Coquitlam BC today for more information about current promotions and purchaser incentives right here at the Grand Central Coquitlam condo project. Now previewing with sales starting May 8th, you can swing by and pick up your free $25 Boulevard Casino Chip just by visiting the sales centre at the new Coquitlam Grand Central 2 condo project! Some sample prices for the pre-construction Coquitlam condos for sale include a 2 bedroom, 854 sf unit at just $337,000 or a one bedroom at 631 sf at only $248,000. Great for long term investment, these new coquitlam Grand Central 2 condos for sale are absolutely priced for today’s market. It really does not get any better than this! A prime Coquitlam Town Centre real estate address steps away from all the great shopping as well as all the conveniences and services of every day life, the best value Coquitlam real estate is coming soon to the Grand Central 2 Condo tower. The solid concrete construction and residences that are stylish, spacious and inviting are the selling features for Grand Central Coquitlam condos. With over one hundred and sixty coquitlam homes for sale under $400,000, there is clear value here. Luxury is redefined through Grand Central Phase 2 release. You just can’t get any better Coquitlam real estate value than this! Views of Westwood Plateau, the Fraser River and the community below are presented here at the pre-construction Coquitlam Grand Central 2 condos for sale which feature floor to ceiling glass windows, large outdoor living spaces and open concept floor plans. The kitchens have vertical grain cabinets in addition to angular undermount sinks and cabinet depth storage space. In addition, there are luxurious ensuites with large soaker tubs and separate showers in addition to bright and sunny living spaces here at Phase 2 Grand Central Coquitlam condos for sale. The details and finishes in this second tower at Grand Central Coquitlam real estate development are superb and with prices starting from just $250,000, there is no better condo value than this project. Just steps from the West Coast Express as well as lots of shopping, the Grand Central 2 Coquitlam Condo Grand Opening is May 8th for pre-sales. However, you can take a sneak peek at the finished furnished suite at the presentation centre right now as it is open for previews. The first 500 visitors will also receive a free $25 Boulevard Casino Chip just for visiting! Coquitlam Grand Central 2 Grand Opening – See it this Saturday! CLEAR VALUE STARTS AT $250,000 here at the new Coquitlam Grand Central 2 Condo Tower release of new suites. SEE IT NOW – BUY IT MAY 8th, 20101 GRAND CENTRAL 2 BRAND NEW PRESENTATION CENTRE OPEN FOR PREVIEWS THIS SATURDAY, APRIL 24th! Grand Central 2 Coquitlam condos for sale is CLEAR VALUE, with new homes starting from just $250,000, there is no better time for home ownership. With 160 new Coquitlam homes priced under $400,000 Grand Central 2 condo tower offers CLEAR VALUE. What does this mean to you? CLEAR VALUE means you pay less but still get more. Beautiful designer kitchens featuring granite countertops, stainless-steel appliances, a children’s play area, swimming pool, and an unbeatable “steps to” Coquitlam Centre location are all yours for an affordable price here at the pre-construction Coquitlam Condos at Grand Central 2. Visit http://forms.rennie.com/GrandCentral/Survey.htm for “VIP STATUS”. We will know to keep you posted on more great early buyer incentives and inclusive offers here at the Grand Central Coquitlam condos for sale! The Grand Central 2 Condo Presentation Centre is open daily 12-5pm, except Fridays and is located at 2929 Atlantic Avenue, Coquitlam. For more information please call us at 604.936.1888 or visit online at grandcentralnow.com. Hope to see you soon! PS – Save the Date for our pre-construction Coquitlam Grand Central 2 Grand Opening on May 8 – where our first 500 visitors that day will receive a free $25 casino chip to Boulevard Casino! The Grand Central Coquitlam Condo Sales Team is at 604.936.1888 or homes@grandcentralnow.com. *This is not an offering of sale. The pre-construction Coquitlam Grand Central 2 Grand Opening Day Promotion is limited to the first 500 visitors to the Presentation Centre on May 8, 2010. Visitors must be over 19 years old and have valid ID to qualify. Limit one $25 gift per household. Please see a Grand Central sale representative for details. Thank you for your interest in Grand Central Coquitlam real estate project by Intergulf Development Group. Perfectly situated in the heart and hub of Coquitlam, a home at Grand Central Phase 2 condos offers a classic West Coast lifestyle that is central, convenient and highly desirable – at an incredible value. Move in today at Grand Central Coquitlam Condos Phase 1. Or, wait for the VIP preview of Coquitlam Grand Central Phase 2 this Spring 2010! Compare and see the advantage of Grand Central Coquitlam condos for sale, where it’s clear value. For more details please contact our sales team at 604.936.1888, check us out at grandcentralnow.com or visit our Grand Central Coquitlam Condo Display Suites located at 2306 – 2978 Glen Drive at High Street, we are open 12-5PM daily, closed Fridays. We look forward to seeing you soon! The Presale Coquitlam Grand Central Condo Sales Team – Open daily 12-5PM, closed Fridays at 2306-2978 Glen Drive, Coquitlam – t. 604.936.1888 – w. grandcentralnow.com – e. sales@grandcentralnow.com. The new Coquitlam condos at Grand Central Phase 2 by Intergulf Developers features large open plan kitchens, exterior balconies, terraces, patios, floor to ceiling windows and panoramic views from many rooms. Also, the Grand Central Condominiums feature such things as green space, children’s playground, landscaped courtyard and a private swimming pool. Purchase your own new Coquitlam condominium here at Grand Central Phase 2 today by visiting the presentation centre located at 2929 Atlantic Avenue, Coquitlam or visit grandcentralnow.com or call 604.936.1888 for additional details. This Coquitlam real estate development is marketed by Rennie. “This Is It” The Best Coquitlam Real Estate Condo Value of 2010! New 2010 pricing for Phase 1 suites has been released for the Grand Central Coquitlam condos for sale. Save up to an additional $80,000 and own with just 5% down payment today (Some conditions apply. Savings are based on previous pricing levels. Please ask a Grand Central Coquitlam condo sales rep for details. The Developer reserves the right to make modifications to the information contained herein. Prices and availability are subject to change without notice). Representing the best New Westminster condo value, the Grand Central Phase 1 condos for sale feature two bedroom suites starting from the $360’s as well as spacious three bedroom layouts from just $440’s. The new 2010 condo pricing for the new economy means new home ownership at the presale Phase 1 Coquitlam Grand Central condo tower has never been more affordable. Take advantage of this incredible alignment of the right Coquitlam home for sale, the right price, and the right time. Hurry – this special Grand Central Coquitlam Phase 1 condo offer won’t last long so come early for the best selection of floor plans and available suites! There are two bedroom suites that are 834 sf at just $394,000 whil a southeast 1047 sq ft three bedroom suite is priced at just $504,000. Phase 1 Grand Central Coquitlam penthouse suite facing south is priced at just $720k and is a spacious 1163 square feet in size. These incredible prices have just been released by Rennie Marketing Systems, and won’t last long. These are presale prices for Phase 1 Grand Central Coquitlam condo tower, which will be followed by the Phase 2 launch in Spring 2010. Over 75% of the Phase 1 condominium tower has been sold out, but there still remains some great deals. Move in today and get special mortgage rates. The Grand Central 1 Coquitlam condos for sale are just steps to transit and the Coquitlam Town Centre. Both quality and value are at the highest here. The display suites are located at 2306 – 2978 Glen Drive, Coquitlam, BC and is now open daily from noon to 5 and closed Fridays. Move in today! With over 75% sold, Grand Central 1 is clear value and quality in Coquitlam real estate’s most desirable location right next to Coquitlam Centre. The new Coquitlam Grand Central 1 Condo Tower features beautiful open kitchen layouts accented with granite countertops and stainless steel appliances complemented with spacious balconies to take in the panoramic views. Spend free time working out in the fully-equipped fitness centre or enjoy the convenience of Coquitlam Town Centre Park and community amenities at your doorstep. The new economy means irreplaceable new Coquitlam condo pricing is now available! Combined with record low interest rates, the advantage is yours. Visit our display suites at 2306 – 2978 Glen Drive, Coquitlam or online at www.grandcentralnow.com. Click and save big at the new Coquitlam Grand Central 1 final release of homes by clicking on this link: http://forms.rennie.com/GrandCentral/Click%20+%20Save.pdf. *Promotional offers at Grand Central Coquitlam condo tower are limited to new contracts completing prior to June 30, 2010. Offers, prices and availability are subject to chage without notice. Savings based in previous pricing levels. Please see a Coquitlam Grand Central 1 sales representative for details.